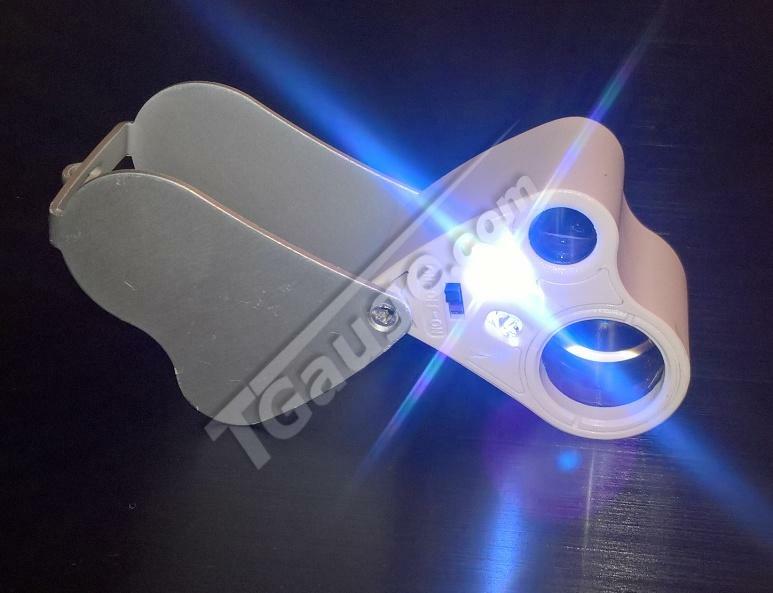 Very handy Twin Lens Loupe Magnifier with 2 LEDs for illumination. 30x Magnification on a 22mm lens and 60x Magnification on a 12mm lens. Comes with Batteries and Battery Removal Tool. 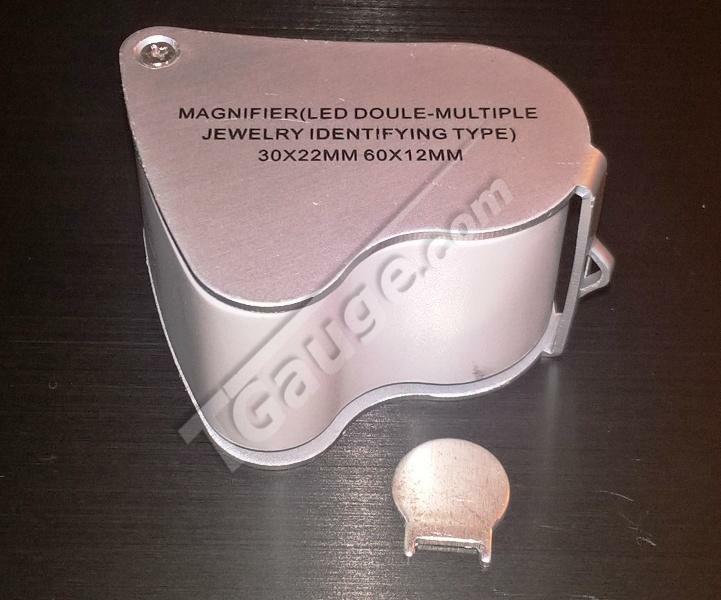 Excellent jewelry magnifier good for any work on Tscale assembly. Great for inspection of wheels on engines and cars.